When a child has the surgical procedure called selective dorsal rhizotomy (SDR), nerves that lead to and from spastic muscles in the legs are carefully tested by medical staff. The nerve branches that are abnormal are cut by the surgeon. The goal of SDR is to permanently relieve spasticity in the legs. Young children have a better ability to make the most of the reduction in spasticity, increase leg strength, and learn new movements. Children undergoing this surgery must do intense physical therapy after the surgery in order to obtain maximum benefits. Cerebral palsy (CP) is a disorder that causes problems with movement and balance due to a brain injury that occurs during brain development. Sometimes cerebral palsy is noticed soon after birth, but in other children, the disorder won’t be noticed until a few years later. Babies with cerebral palsy are often slow to roll over, sit, crawl, or walk, and may look weak and have poor head position. Cerebral palsy noticed a few years later in life is characterized by abnormal muscle tone, poor reflexes and motor coordination, permanently fixed/tight muscles (spasticity), spasms and other involuntary movements, unsteady walking, problems with balance, and scissor or toe walking. Spastic cerebral palsy is the most common type of cerebral palsy. Normally, muscles coordinate in pairs; when one group of muscles contract (tighten), the other group relaxes. This allows free movement. People with spastic cerebral palsy have complications in brain-to-nerve-to-muscle communication, and the balanced degree of muscle tension is disrupted. Muscles affected by spastic cerebral palsy become active together, which effectively blocks coordinated movement. Thus, the muscles in children with spastic cerebral palsy are constantly stiff, or spastic. The degree of spasticity varies widely from child to child. Some have barely noticeable misalignments, while others require the use of a walker or wheelchair. Above the hips, children with spastic diplegia typically retain normal or near-normal muscle tone and range of motion, though some spasticity may also affect the upper body. Additionally, because leg tightness often leads to instability when in an upright position, extra muscle tension usually develops in the upper body, shoulders, and arms due to compensatory stabilization movements. Hypoxic-ischemic encephalopathy (HIE): A form of brain damage that occurs around the time of birth, when the flow of oxygenated blood to a baby is disrupted. Periventricular leukomalacia (PVL): A condition in which the brain’s white matter is damaged. Selective dorsal rhizotomy (SDR) is a surgical procedure that selectively destroys malfunctioning nerve roots in the spinal cord, most often to treat neuromuscular conditions, such as spastic diplegia and other forms or spastic cerebral palsy. During an SDR, the lower vertebrae are opened to reveal the spinal cord, which contains neurons of the central nervous system. These neurons (bundles of nerve fibers) channel messages between the brain and different areas of the body. Electrical stimulation is used to identify and sub-divide sensory and motor nerves. This procedure continues until the specific nerves and nerve roots affecting the spastic muscles are identified and cut. Due to the size of the nerves and rootlets, this is a very precise procedure and surgery can last several hours. It requires general anesthesia. Research shows that selective dorsal rhizotomy coupled with PT provides significant benefit over PT alone. Spasticity is significantly reduced and there is improvement in function as measured by the Gross Motor Function Measure (GMFM). The GMFM is a classification system that describes the gross motor function of children with cerebral palsy on the basis of their self-initiated movement, with particular emphasis on sitting, walking, and wheeled mobility. Spasticity, range of motion, and functional muscle strength typically improve through five years or more after surgery. SDR patients usually show sustained improvement in alignment and postural stability, as well as an increased ability to perform difficult transitional movements. There also are long-term improvements of gait abnormalities. That the person has no fixed orthopedic deformities that either prevent current walking or would prevent walking after SDR; in these cases orthopedic release surgeries are to be done first, after which SDR can be discussed. In the limited number of adults with spastic diplegic that have been treated with SDR, satisfactory functional gains are similar to those in children. All candidates for selective dorsal rhizotomy must have good muscle strength in the legs and trunk. Candidates also must have adequate motor control, or the ability to make reciprocal movements for crawling or walking, and to move reasonably quickly from one posture to another. In pediatric SDR, candidates are children with cerebral palsy who have shown age-appropriate progression in motor development, but whose spasticity hinders the development of skills and/or causes gait patterns such as scissor gait. In adults, the primary requirements are that candidates can ambulate independently, but spasticity limits energy, flexibility, walking speed and balance, and sometimes causes pain and muscle spasms. There are a few situations in which it is likely that someone may not be a candidate for the selective dorsal rhizotomy. These situations include those who have suffered meningitis, a congenital (birth-originating) brain infection, congenital hydrocephalus unrelated to the person’s premature birth, a person who has suffered head trauma, or a person with some sort of familial disease (people with hereditary spastic diplegia are said to not be SDR candidates). Also precluded are people who have a “mixed” cerebral palsy with predominant rigidity/dystonia, significant athetosis (involuntary writhing movements of the fingers, hands, toes, feet, arms and/or legs) or ataxia (lack of voluntary coordination of muscle movements). People who have very severe scoliosis also are precluded. As with any procedure, however, an individual evaluation is needed in all instances to determine eligibility. Most rehabilitation from selective dorsal rhizotomy is done on an outpatient basis, though it may also include an initial several-week inpatient component. Typical base restrengthening and restoration of full ambulatory function takes about 12 weeks of intensive PT, 4-5 times per week. Subsequent buildup and maintenance beyond that initial several-week period is just as necessary, and may require continued 4-5 times per week therapy, as much as 6 months postoperatively, for a total of about 1 year and 4 months after surgery in order to achieve maximum basic functionary movement from the surgery. In some cases, cerebral palsy is the result of medical malpractice around the time of birth. If you are seeking legal help for a child with cerebral palsy or another birth injury, it is very important to choose a lawyer and firm that focus solely on these cases. Reiter & Walsh ABC Law Centers has been helping children with birth injuries such as cerebral palsy for over three decades. 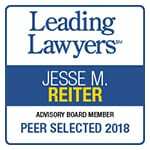 Partners Jesse Reiter and Rebecca Walsh are currently recognized as being two of the best medical malpractice lawyers in America by U.S. News and World Report, which also recognized ABC Law Centers as one of the best medical malpractice law firms in the nation. The attorneys at ABC Law Centers have won numerous awards for their advocacy of children and are members of the Birth Trauma Litigation Group (BTLG) and the Michigan Association for Justice (MAJ). If your child was diagnosed with a disability you suspect stemmed from medical malpractice, we can help. We have helped children throughout the country obtain compensation for lifelong treatment, therapy, and a secure future, and we give personal attention to each child and family we represent. Our firm has numerous multi-million dollar verdicts and settlements that attest to our success, and you pay nothing ­until we win your case. Please contact us today for a free case evaluation.